Then you have a great opportunity for continuous improvement with on-demand color labels. 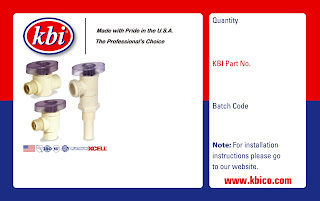 King Brothers Industries (KBI) (www.kbico.com) is the preferred source for plumbing and irrigation valves and adapters for both pool contractors and homeowners worldwide. In 1970, King Brothers Industries owner Bob King developed his first product in a tool shed in Fillmore, California. 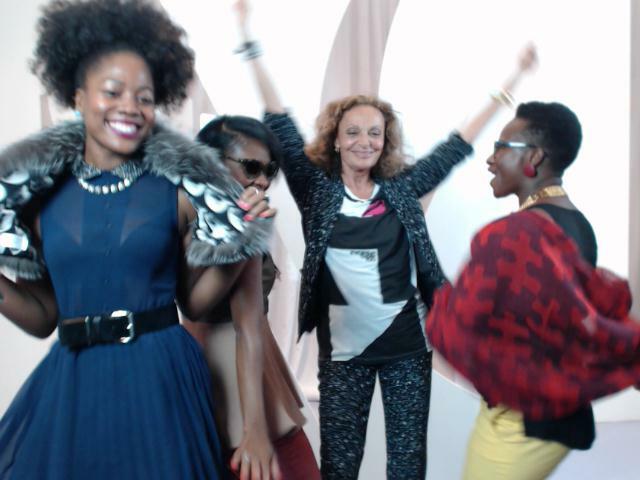 This initial product was the Flex Riser which sold over 100,000 units instantly. I learned of KBI while attending the Hardware Tradeshow in Las Vegas in May (http://www.nationalhardwareshow.com/) with Neway Packaging (www.newaypackaging.com). While walking the show, I met the sales manager from KBI who was kind enough to give me the name and contact information for the Operations Manager. Like other companies, KBI had always used black-only labels with barcodes and text produced on thermal transfer printers. 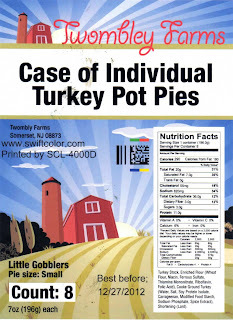 Then, Donald says, “Sales wanted to improve the look of our labels; to make them more modern. At that point, we begin using preprinted labels. With over 19,000 SKU’s including different products, sizes, and brand names, it was not long before we had a large inventory of labels given the minimum order quantities required by our printer. With necessary changes that occur from time-to-time, we ended up discarding thousands of dollars of inventory annually”. After my demonstration, Donald wanted to insure he had media that worked; including giving his existing vendor the opportunity to supply the inkjet labels. After getting samples, I worked with the KBI vendor to test labels to insure they worked well with the TM-C3400. 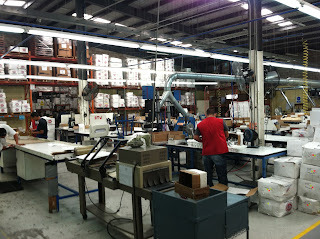 After some time, KBI purchased printers and media for both their operations in Valencia and Tijuana. 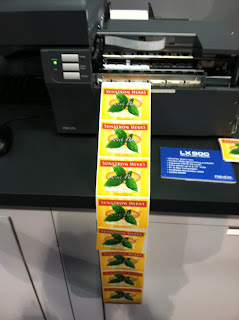 In Valencia, KBI is using Easy Label (www.easylabel.com) to design and print their labels. For the operations in Tijuana, KBI designed new label formats, printing the JPEG files using Windows making the implementation very simple and easy. 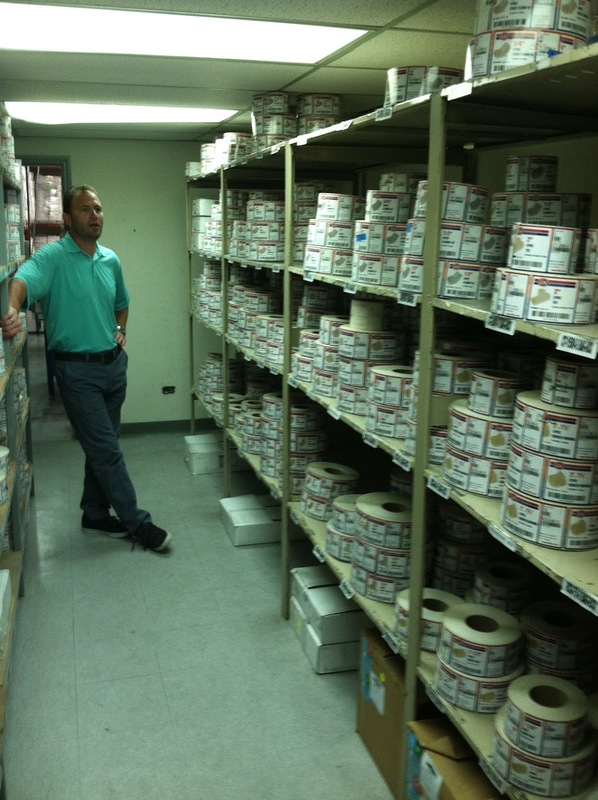 Over time, KBI will reduce their label inventory, obsolesce, and administration costs significantly by using on-demand color labels. I encourage you to look at how a continuous improvement process like the one implemented at KBI will improve your or your customer’s business. 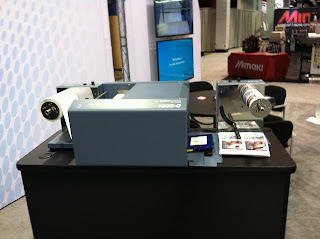 On September 12th and 13th, I attended Label Expo Americas 2012 (http://www.labelexpo-americas.com/). 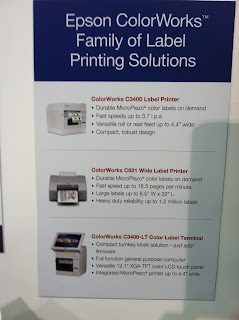 During this event, I had the opportunity to see on-demand color label printers from a few other companies: Primera, KG Digital, Colordyne and Ownx. 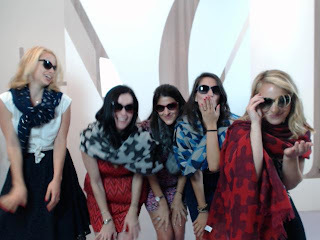 I like to share with you my thoughts on what I learned and saw at this event. But before I give my specific views, I like to make one observation for all these companies. All of these companies showed examples of printing “Prime” labels. If you don’t know, a prime label acts as the main identification of a product. 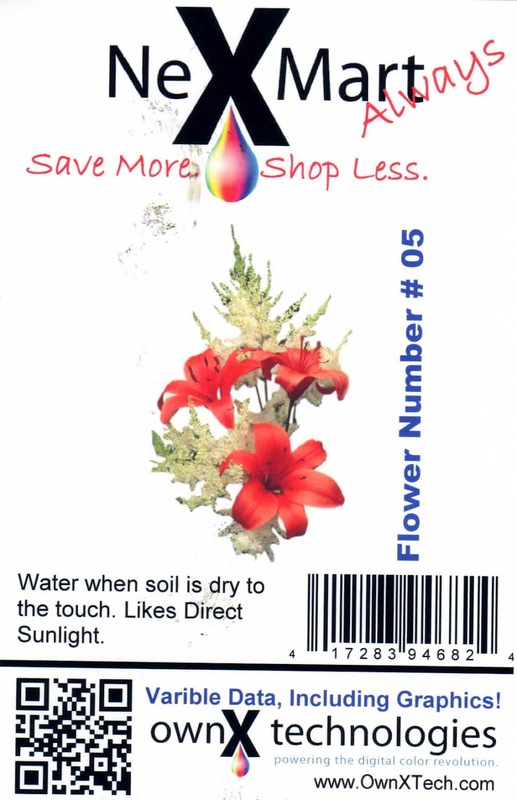 This label is designed to attract attention; and contains information to appeal to a buyer. 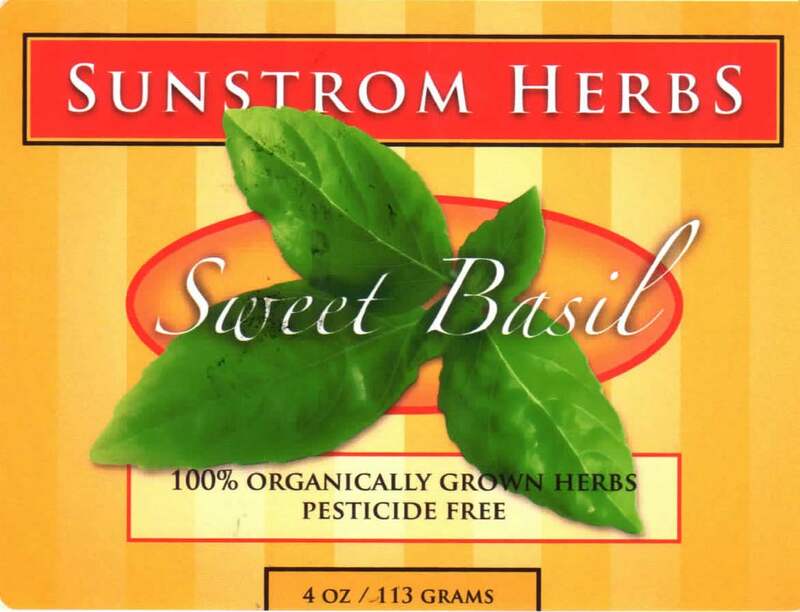 Most prime labels are produced by printers or in print shops. 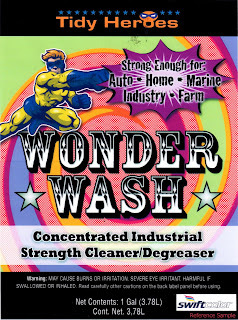 The labels shown by these companies were 100% covered with ink, commonly referred to as “flood coated”. 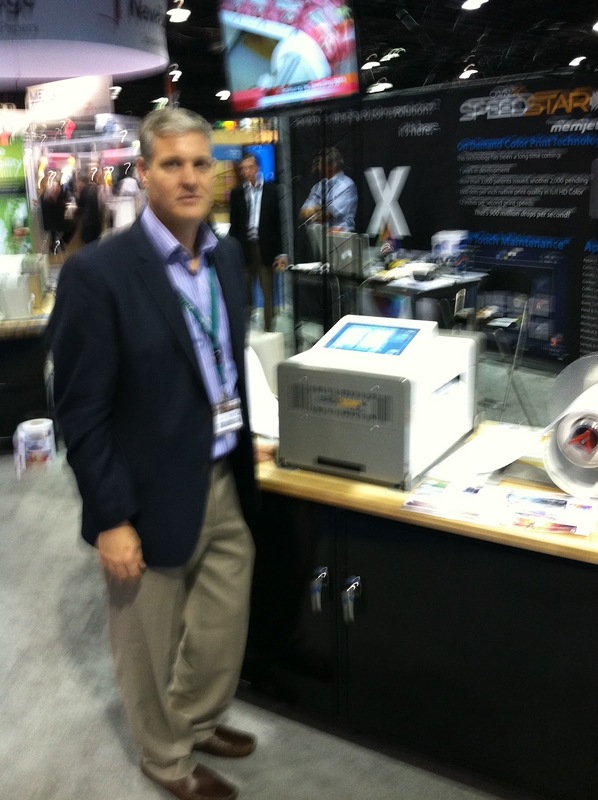 In the Primera booth, I discussed the LX900 with the sales representative: http://www.primeralabel.com/lx900_features.html. 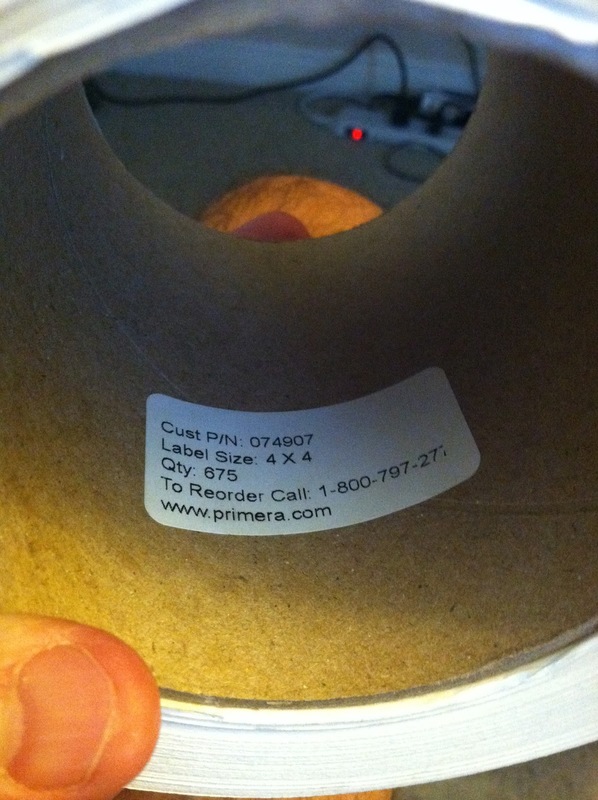 In the booth, Primera was using the LX900 to print this prime label covered with 100% ink. With 4,800 dpi and 4 colors, this $2,995 list price printer produces prime labels for products such as wine or olive oil very well. However, this printer runs very slow at higher resolution, comes only with a USB interface and uses die-based inks that may run or smear when wet. For this printer, Primera uses inkjet print heads from Lexmark. http://newsroom.lexmark.com/index.php?s=13630&item=23703. However, Lexmark announced in August their plans to exit the inkjet business. http://online.wsj.com/article/BT-CO-20120828-712282.html. According to the sales representative I met in the booth, Primera has purchased a large volume of print heads to allow them to keep manufacturing this product. In addition, the Primera representative said Lexmark will keep manufacturing the ink cartridges for some time. However, the WSJ article above states Lexmark is winding down all inkjet activities. In addition to Primera, I saw the SwiftColor 4” and 8” printers in the KG Digital booth. http://www.swiftcolor.com/. KG digital, a division of Kanematu of Japan, has the 4” available currently and will launch the 8” version shortly as I was told. According to the person I met in the booth, the $10,000+, 4”, 4-color printer uses die-based inks to print up to speeds of 8” per second. They could not tell me when the 8” version would be available. 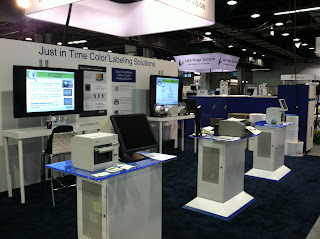 In the Colordyne Technologies booth (http://www.colordynetech.com/), I saw both the 1600C and the 1600S color label printers. Colordyne uses print engines from Memjet (www.memjet.com). The 1600 C is a 4-color, dye-based ink, high resolution printer that uses continuous labels and prints up to speeds of 12”/second. The 1600 S is similar to the 1600 C, but prints only sheet-fed stock. As a part of the solution, Colordyne has a relationship with Niceware and Wasatch to deliver a label software with color management capability. http://www.nicewareintl.com/news/niceware-partners-wasatch. Based on my discussions, I believe this technology may best fit in print shops; and not on the plant floor operations. Color matching is a very technical subject; and not something most non-graphic artists could do. 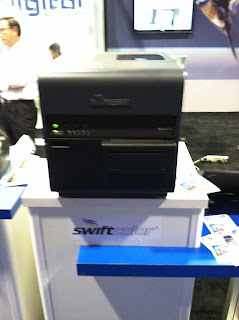 In addition to Colordyne, Ownx (http://www.ownxtech.com/) had their Memjet-based, Speedstar printers on display. 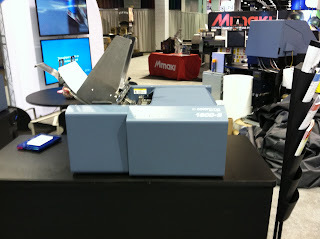 With a built-in computer and software, this 12” per second, 4-color, $23,500+ prime label printer produced very good labels that were shown going through a cutter after printing. Some of you may be wondering, why am I making you aware of these companies? 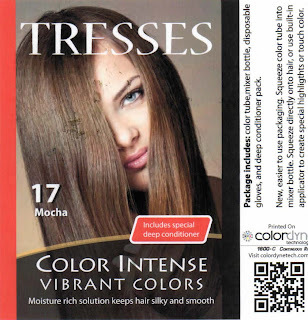 From my perspective, the more companies promote on-demand color labels, the more the entire market for this technology will grow. I see this growth increasing the global automated data capture/barcode printer business significant; and a real opportunity for value added resellers in this market. So the more companies, the merrier for you! 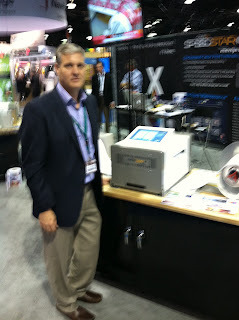 On September 12th and 13th, I attended Label Expo Americas 2012 (http://www.labelexpo-americas.com/). 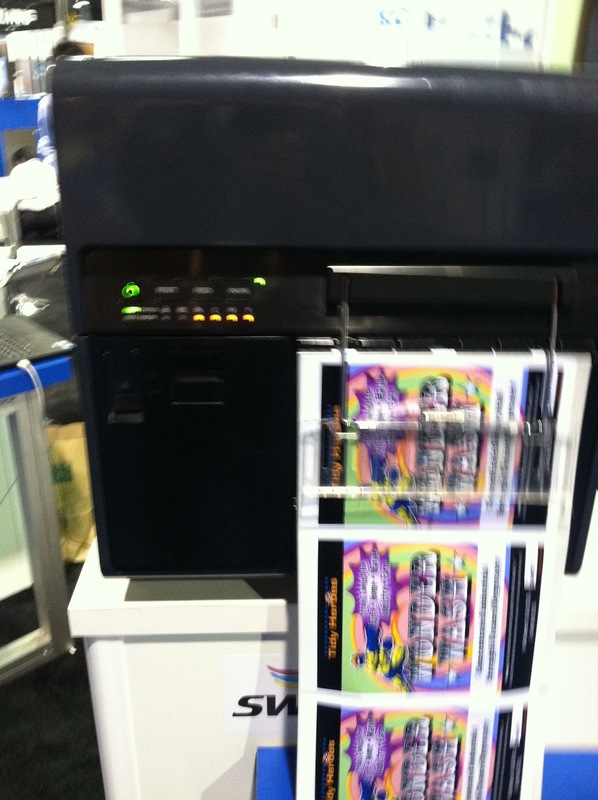 Although this show is primarily targeted at label converters and printers, Epson America used the show to demonstrate on-demand color label printing. 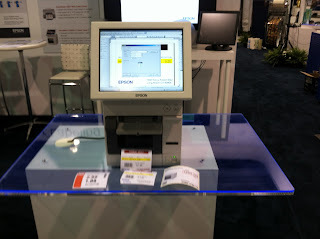 I like to summarize in this post what the System Devices division of Epson exhibited at this tradeshow. 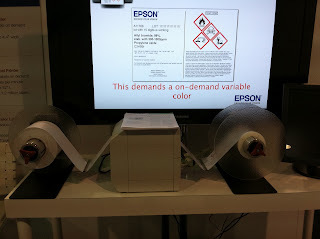 As you might expect, Epson showed the TM-C3400 (in the foreground in the picture above) printing poly labels using Bartender. In addition, Epson showed the TM-C3400 integrated with a Labelmate unwinder and rewinder (www.labelmate.com) enabling large label print jobs. Of the converters and resellers I met during the show, most had not heard of on-demand color label printing; and the Epson TM-C3400. These discussions confirm my perspective that most industry participants do not understand the availability of this label printing capability. After demonstrating the printer and discussing the markets, most converters and resellers thought of customers and prospects for this relatively new technology. I bet you can also. With a list price expected to be approximately $2,700, the TM-C3400 LT will be available to purchase next month. In addition to the TM-C3400 LT, Epson showed the GP-C831, the first pin-fed, industrial inkjet printer. 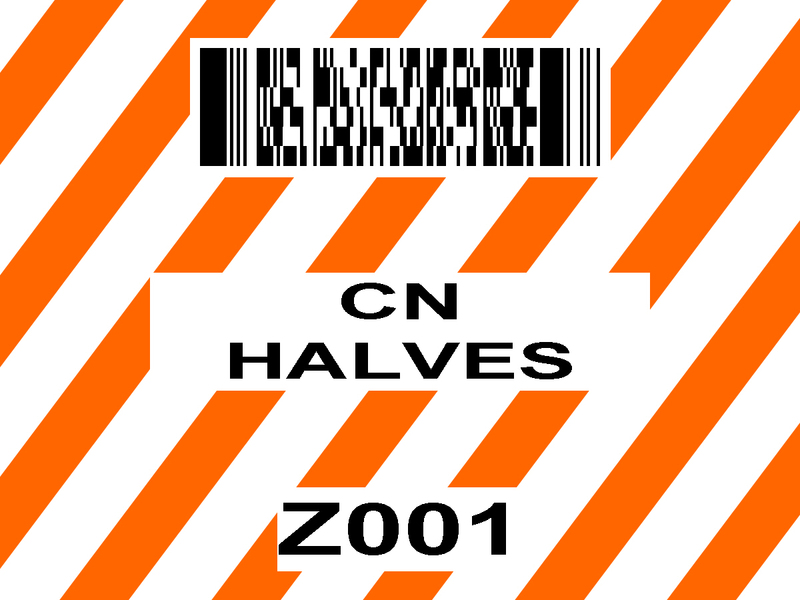 As an ideal component for printing labels to meet the new GHS set of requirements for drums and larger containers, this device can print up to 8” wide labels, perfect size for this application. 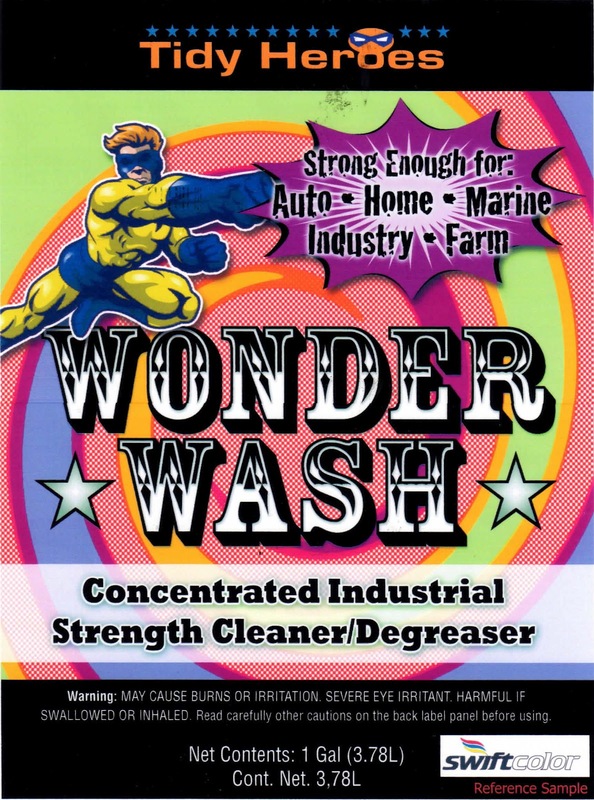 To learn more about GHS, take a look at this earlier post: http://colorlabelsondemand.blogspot.com/2012/03/what-h-is-ghs-opportunity.html. 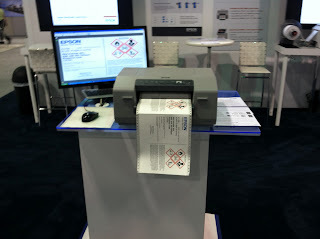 At this station, Epson was showing with Teklynx the GP-C831 with Teklynx Central GHS application (http://www.teklynx.com/en/products/enterprise-label-management-solutions/teklynx-central-ghs) using BS5609 certified Kimdura media (http://colorlabelsondemand.blogspot.com/2012/03/bs5609-is-no-bs.html) which enables companies to meet these new set of requirements. According to Tiffany Scheible, Global Marketing Director for Teklynx, "the TEKLYNX CENTRAL GHS software solution is designed to help companies meet industry mandates for label security and traceability with the ability to modify labels, view reports and print on-demand from virtually anywhere in the world." You may know of other applications that need this durable label printing capabilities. You will be able to begin purchasing the GP-C831 printer beginning the end of October with a list price of approximately $1,900. As of Label Expo, Epson has now a “family” of label printing products; take a look. Contact me to discuss how you or your customers can utilize these new products. Flipping Fun (http://www.flippingfun.com/) describes itself as the “ultimate party favor”. This company produces 60 page “flip books” at parties and events providing guests with a valuable take-home memento. Before using the Epson TM-3400, Flipping Fun created flipbooks on-site at events using a four step process - printing, cutting, collating and binding. 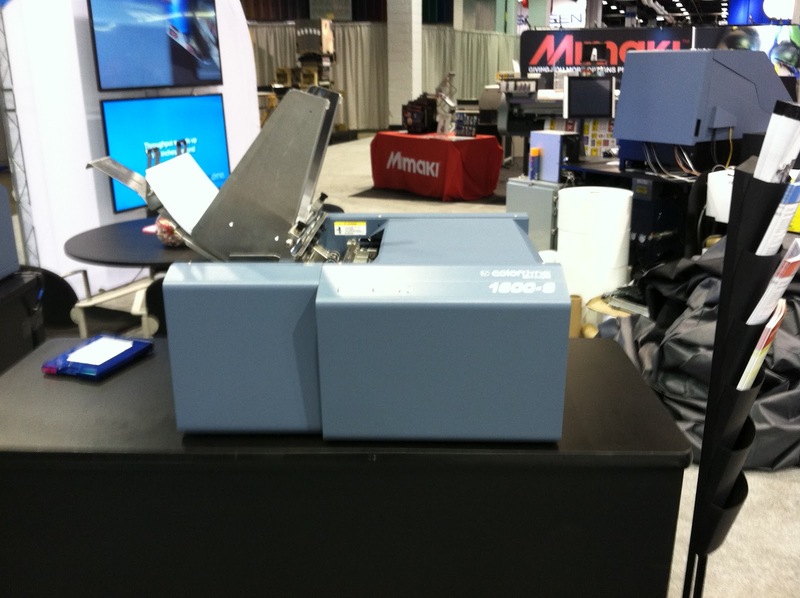 To print the books, the company used consumer printers and business card cutters. After collating, they bound the books using custom covers that had been preprinted prior to the event. Although able to produce a book, Flipping Fun decided to look for a different process for several reasons. 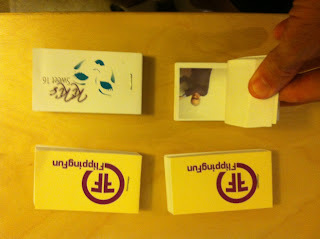 Third and most important, Flipping Fun decided to develop a new process to produce a flip book more efficiently. This goal led Flipping Fun to contact me. After some initial test prints, it was clear that moving to an on-demand label & tag printer like the TM-C3400 with the built-in cutter would improve the process to produce a flip book. But to provide the total solution, we needed to help Flipping Fun with two key development steps; software integration and media selection. The Epson Technical Support Engineer for the TM-C3400, Ernie Villarreal, worked with the company to make sure the software operated with the TM-C3400. Although producing flip books is different from the manufacturing, healthcare, logistic, retail, identification or the markets you or your customers operate, the key point is the same; Moving to on-demand labels and tags will improve many different processes. Contact me to discuss how you and/or your customers can capture these benefits. Recently, I got my hands on a Primera PX450 color printer (http://www.primeralabel.com/px450_features.html) to complete some test prints. I like to summarize my experience printing with this device. Please remember; I am not a Primera expert and only wanted to learn/share my thoughts about this printer. 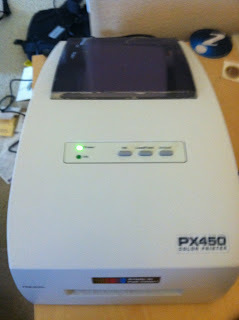 As a reminder, the PX450 is a 3 color, USB connected printer that produces labels, receipts, tickets and other types of output from 1” to 4.25” wide. When I first saw the machine, I was surprise the size; it has a small footprint and is light: only 7 pounds. One key point: Primera describes this printer as a POS printer. This fact was news to me. I first downloaded the driver from the Primera website: http://www.primera.com/primera_printer_drivers.html. Also, I checked for any firmware updates; none were available. When I first downloaded the driver, I could not find the driver on my computer; only a set of instructions popped up. I tried to find the driver; but could not. In the instructions, I learned the driver was stored on the C drive; and stepped me through the process. Easy. Generally, the driver seemed very easy to understand. Trying to troubleshoot this issue, I learned to two key facts about this printer. First, Primera does not recommend this printer for die-cut or any labels. What seems strange about this restriction is that the printer driver has the settings for die-cut and blackmark. 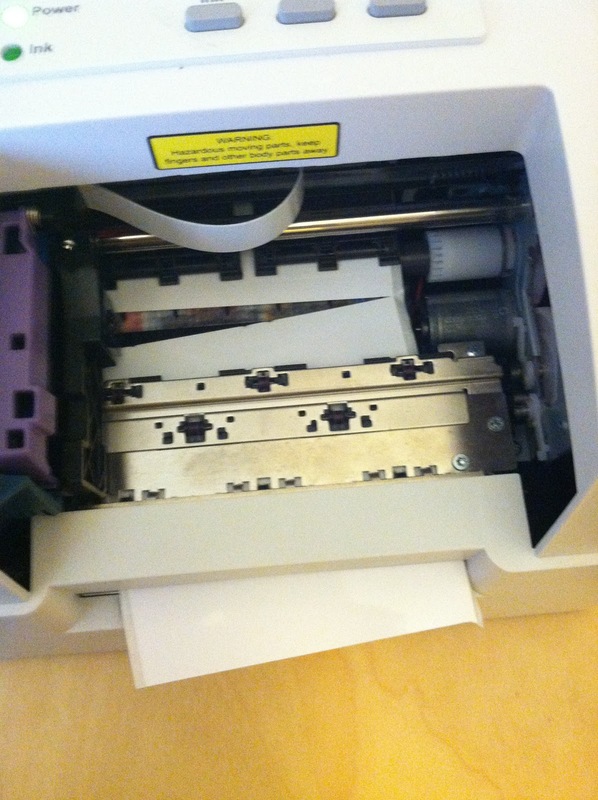 In addition, the printer has a gap and blackmark sensor. 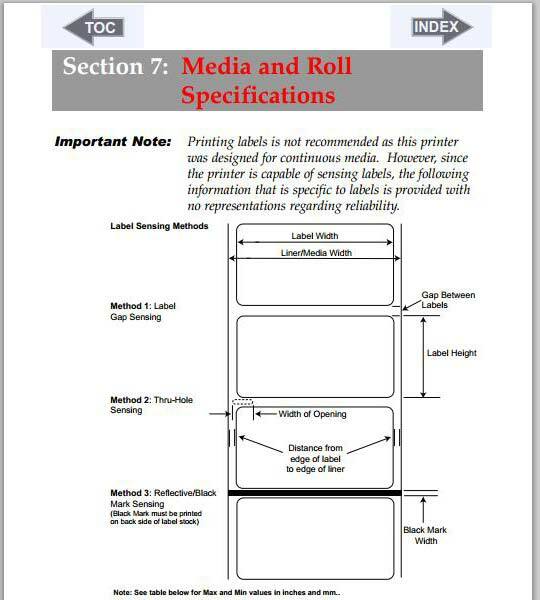 Finally, the instructions show how to print these label types. Second, I learned the max OD for media in this printer is 5”. The roll of labels I had from Primera was 5.5”. 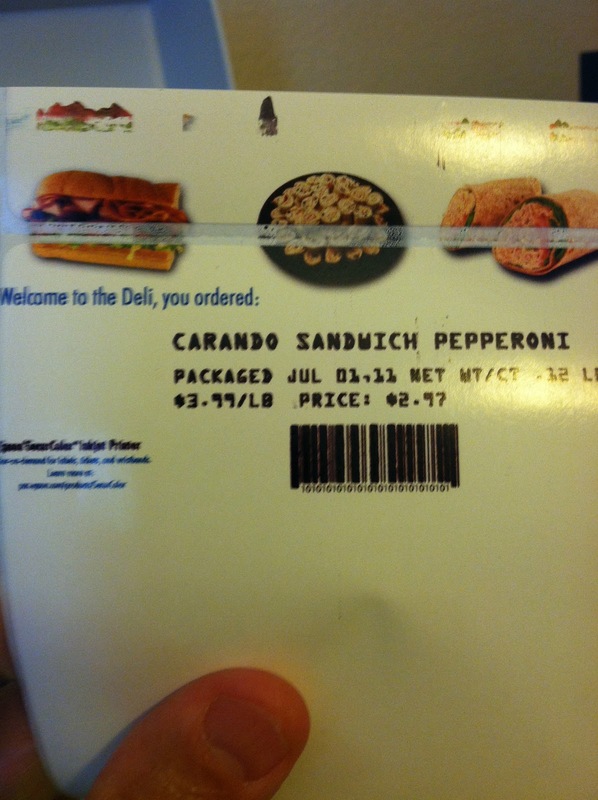 After stripping off the extra labels, it still would not print the die-cut labels correctly. 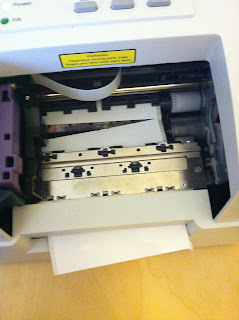 It seemed the roll was just too heavy for the printer to pull through the printhead. 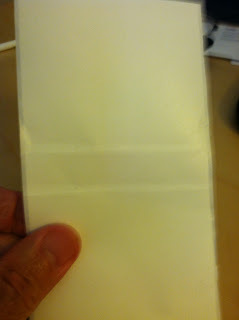 On the label, you can see the marks from when the printer tried to cut the poly material. Next, I tried a 3.25” matte paper label; and printed labels at both level 4 (left) and level 2 (right) print quality. Both prints were completed using the graphics mode. I felt the print quality was very good, even at the lower quality using the PX450. 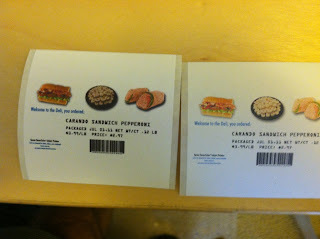 In fact, the lower quality produced better looking barcodes. 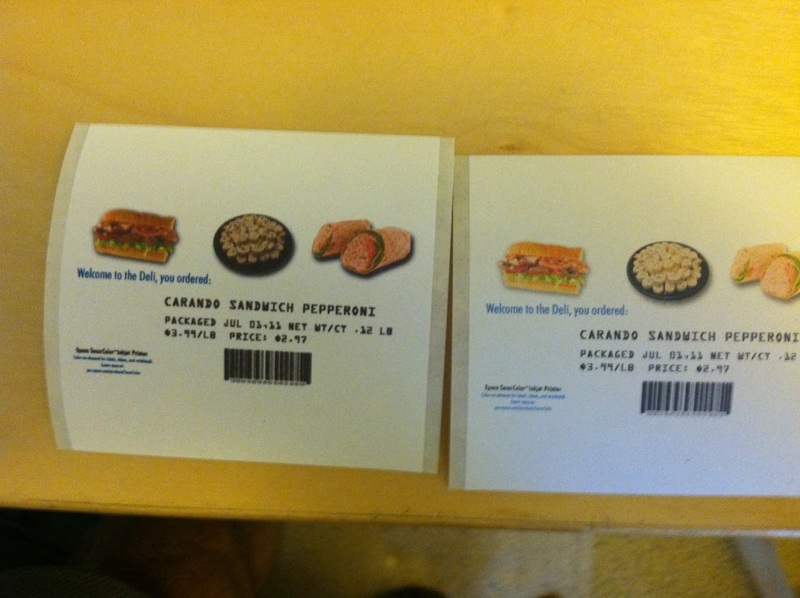 In the process of printing these two 3” x 3” labels, I used my iPhone to measure the time it took to print the labels. 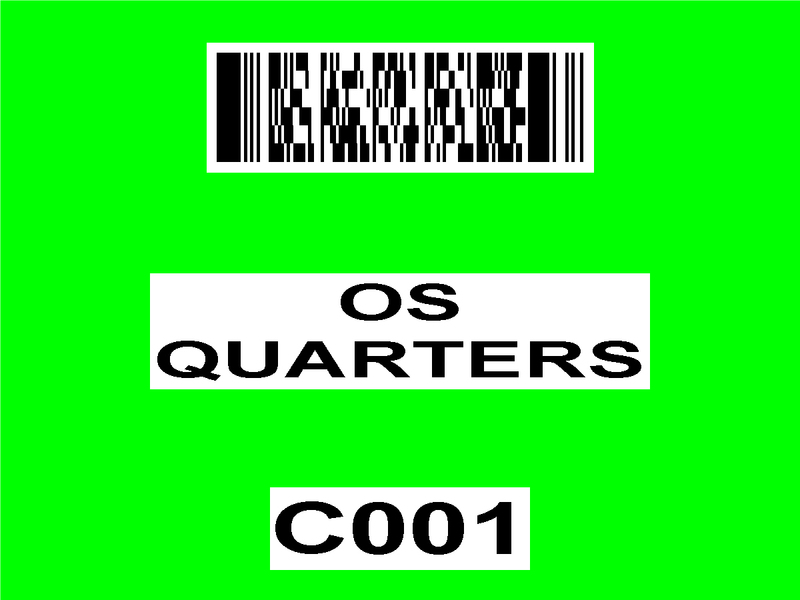 At the level 2 quality, it took 22 seconds to print one label; from the time I hit print to the label was cut. 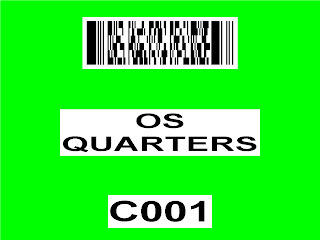 At the level 4 quality, it took 59 seconds to print one label. To produce the same label using the same material, the TM-C3400 took 15 seconds (configured for low print volume which costs 3 to 4 seconds per print job). The print quality seemed slightly better for the TM-C3400 set at the Level 3 setting than the lower level 2 setting of the PX450. Based on these findings, I would not recommend the PX450 for any production process or situation. It may work as a device to complete test prints; say for a graphic artist designing labels. I hope you find this information of value. In the near future, I want to test other color label printers. If you have one, loan it to me to test. 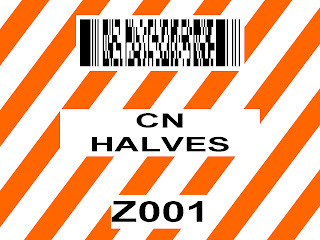 Labeling Solutions (http://www.labelingsolutions.com/) is a full service provider of labeling, tagging and bar coding solutions including label printers, labels, tags, ribbons, and supporting equipment such as asset and inventory management software and hardware including bar code scanners and handheld mobile computers. 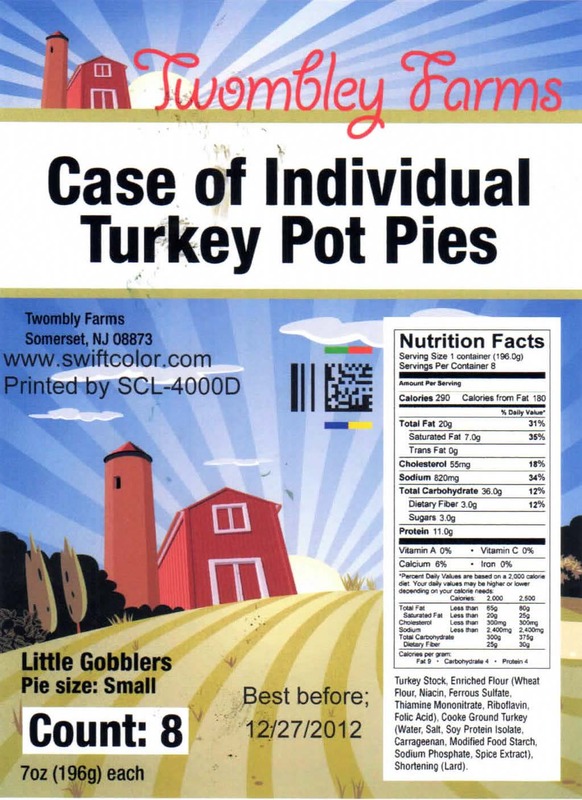 For thousands of customers in the US and Canada, Labeling Solutions is their one-stop source to address a variety of labeling requirements. The durability of these inks is one of the key enablers for Epson to obtain the BS5609 Certification with Kimdura media from Neenah Paper. 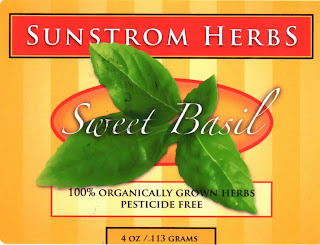 Take a look at my earlier blog post on this topic: http://colorlabelsondemand.blogspot.com/2012/03/bs5609-is-no-bs.html. To receive this certification, the ink and media are required to withstand more than 3 weeks in seawater. To get a durable tag, I contacted Stafford Press (www.staffordpress.com). 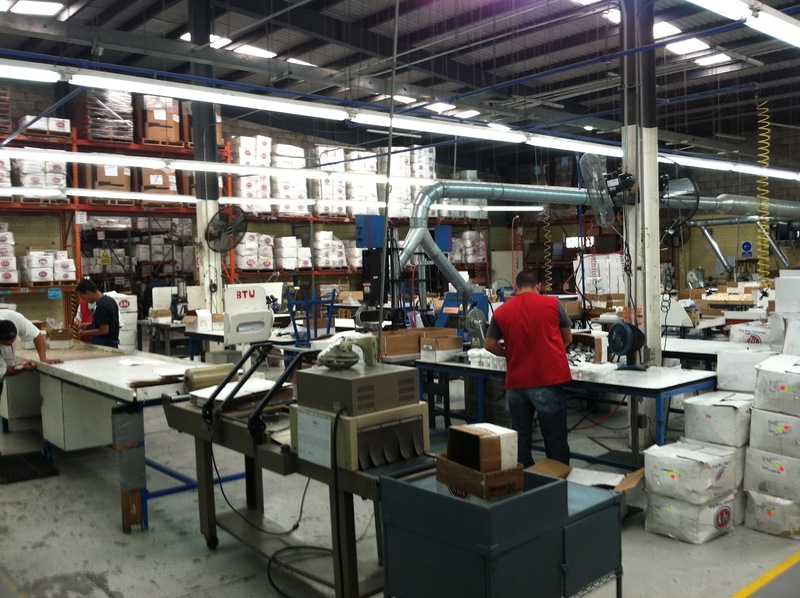 Since 1991, Stafford Press has been a leading supplier of "custom" labels to many AIDC resellers across the country. They take great pride in providing solutions for their dealers and product identification requirements. Moving to on-demand color labels and tags will improve all types of work processes; including classifying, fresh-caught inventory. Contact me to discuss how color can be added to your or your customer’s business. PS: I have an update to this story. 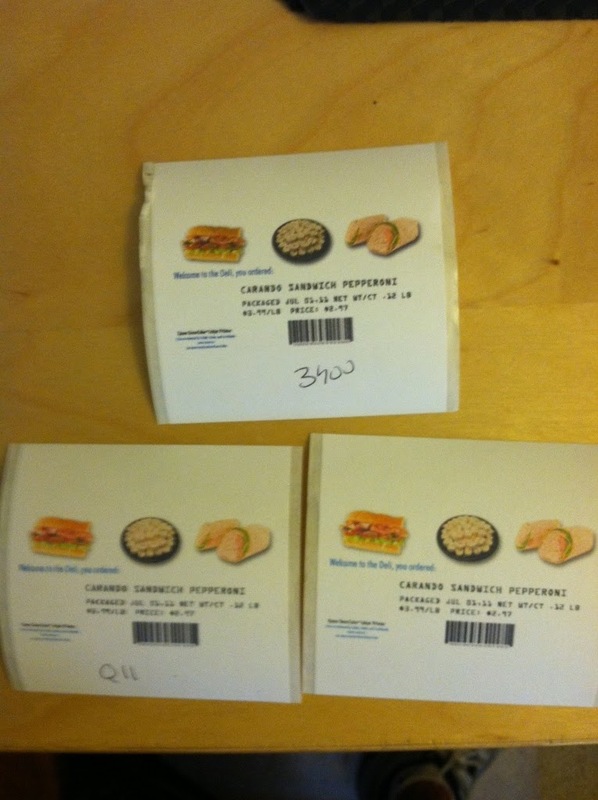 After 7 months in salt water, Donald sent me a picture of the tags. According to Donald, "The color coding and bar code on the tags have no apparent degradation after 7 months in salt water. 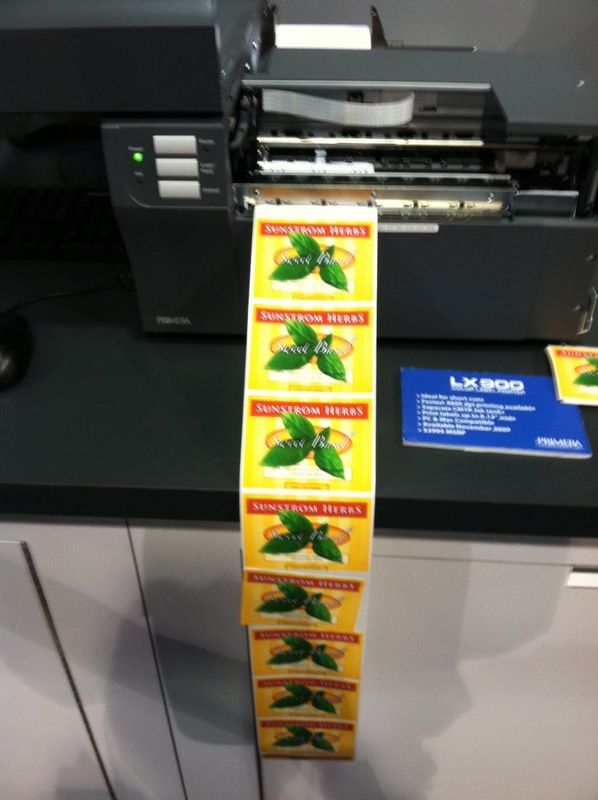 These results are a testament to the ink and tag material combination used on Epson TM-C3400 color printer." These results really do show the durability of the ink/poly media combination.